European soccer body UEFA in 2014 rejected the move of Crimean clubs from Ukrainian to Russian leagues following Russia’s occupation of the territory. UEFA said Crimea would be considered a "special zone for football purposes" until the conflict has been resolved. This is a story as much about Saudi Arabia or for that matter about Iran as it is about international sports associations and how they balance upholding their principles and values with a realistic assessment of how they can best ensure compliance by member associations. In fact, this story could just as well be about whether Qatar against the backdrop of criticism of its labour regime should be allowed to host the 2022 World Cup or whether collective punishment that penalizes guilty and innocent athletes alike is the way to go in the case of Russia that stands accused of endorsing doping. The issue in Saudi Arabia and Iran is women’s sporting rights. In Iran, it really is about only one right; the right to attend male sporting tournaments. Iranian women sports is otherwise by and large well developed. In Saudi Arabia, it’s about stadium attendance too, but it’s about much more, it’s about the right to physical exercise and the right to compete in any sporting discipline. Attitudes of international sports association towards upholding women’s sporting rights in Saudi Arabia and Iran constitutes a mixed bag. In fact, until 2012 both countries got away with restricting women’s rights with no risk to their ability to host or compete in international tournaments and no risk of being barred or their reputations being tarnished. “It’s humiliating. First you belong to your father and brother, then to your husband son who can do with you what they want. It is humiliating. How can you say that women’s rights go against culture? The problem is: who cares about women’s rights?” says Darya Safai, a 41-year old Iranian student activist-turned dentist and women’s sports campaigner who was jailed in Iran before fleeing via Turkey to Belgium. Ms. Safai, who travels the world to sporting mega events at which she unfolds a banner demanding women’s unfettered access to stadiums in Iran, sees her activism rooted in her first encounters as a child with discrimination of women. In line with Iranian dress code, her mother forced her at age six on her first day of school to exchange the clothes she liked for a body enveloping blue mantle and a head cover. “I realized something wa wrong when I saw my neighbour’s son going to school in the same clothes he always wore. Nothing had changed for him. From that moment on, I wanted to be a boy,” Ms. Safai said. Ms. Safai was subsequently admonished by teachers for laughing out loud because that was improper. “I was afraid in school. I look at pictures from that time and I’m never smiling because girls aren’t supposed to display their teeth. From age nine, we were taught that you would go to hell if a man sees you. I was afraid of the pain of burning in hell. Later my bicycle was taken from me. It was terrorizing children… At a given moment, the penny dropped. I realized it’s not my fault. That was my rebellion. I wanted my rights,” she said speaking fluent Dutch in an Antwerp café. Ms. Safai had a taste of those rights in 1997 when thousands of Iranian male and female soccer fans poured into the streets of Tehran to celebrate Iran’s defeat of Australia with a last-minute goal in a World Cup qualifier that paved the way for the Islamic Republic’s joining the 1998 World Cup finals. “It was a day on which everything that was forbidden became possible. Men and women were on the streets. The veils were off, they danced and sang together. It was one of the most beautiful days of my life,” Ms. Safai recalls. 2012 was a watershed in the struggle for women’s sporting rights in the Middle East in several ways. It was the year in which world soccer body FIFA and the International Football Association Board (IFAB) that sets the rules of the game opened the door to religiously observant Muslim women to play in international competitions with their hair covered. It was also the year in which West Asian Football Federation (WAFF) that groups the region’s national associations with the exception of Israel adopted a resolution that put the right of a women to compete on par with that of a man. Eleven of the federation’s 13 member associations, including Iran, voted in favour. Saudi Arabia and Yemen voted against. The resolution was revolutionary even if it only had symbolic value because the federation doesn’t have the teeth to enforce it. 2012 was also the year in which the International Olympic Committee (IOC) for the first time threatened the world’s three countries – Saudi Arabia, Qatar and Brunei – that had never sent a woman to an Olympic sporting event with a boycott if women were not included in their representations in London. Saudi Arabia avoided a boycott by sending two expatriate athletes. What has evolved since in both the case of Saudi Arabia and Iran is a cat and mouse game in which international sports associations effectively have thrown the towel into the ring in effect allowing the two countries to maintain misogynist policies. It has also forced human rights groups to rethink how they best can pressure international sports associations to stand up for universal rights. To be fair, despite what I would view as a cave-in, attitudes in international sports associations have shifted. That is too say they no longer evade the issue even if they at best following a brief period of taking a stand now only pay lip service to it. Also to be fair, the results of the associations’ activism is a mixed bag. In the case of Saudi Arabia, it forced the kingdom to allow women to compete albeit in only very small numbers – in Rio the number of Saudi women doubled from two to four – and only in a very limited number of sports that are mentioned in the Qur’an. In Iran, pressure first appeared to succeed but then failed in part because associations like the International Volleyball Federation ultimately backtracked or in the case of the Asian Football Confederation either refrained from holding Iran to its promises or publicly endorsed Iranian policies. One other thing has also changed. In the days of Jacque Rogge’s stewardship of the IOC, there was no contact between the committee and human rights groups. Rogge wanted nothing to do with them. That changed with the rise of Thomas Bach. Bach met with the likes of Amnesty International and Human Rights Watch shortly after being elected and has maintained that dialogue. Bach also initially attempted to follow through with the Saudis in the wake of the committee’s initial success with the London Olympics. The Saudis refusal to send women to the subsequent Asian Games, their refusal to allow women to compete in anything but Quranic sports, and their development of the kingdom’s first national sports plan for men only infuriated Bach. 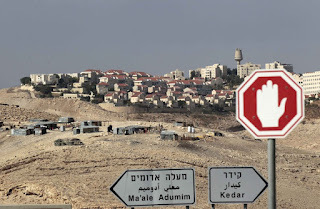 It prompted him to after first requesting restraint on the part of the human rights groups to ultimately say to them: Go for it, Saudi Arabia is yours. Yet in saying that, he effectively dropped the ball. The IOC had no intention of continuously pressuring Saudi Arabia or continuously wielding the stick of a boycott. As a result, pressure by the IOC to force Saudi Arabia to take necessary measures, including introduction of mandatory sports lessons in girl’s schools, development of an infrastructure that would foster women’s elite sports, and adoption of policies to encourage and enable female participation, have lacked the resolve necessary to produce results that go beyond a nominal quadrennial women’s presence. Human rights groups have concluded that in the absence of being able to pressure Saudi Arabia directly, they only have an opportunity every four years to influence the IOC in the final run-up to an Olympic tournament. The pattern is similar in the case of Iran. The International Volleyball Federation initially declared that it would not grant Iran hosting rights as long as women were not granted unfettered access to stadia. In response, Iran promised to allow women to attend international volleyball tournaments in the Islamic republic. Similarly, Iran promised the Asian Football Confederation, the AFC, that women would be allowed to attend Asian Cup matches hosted by Iran. In both cases, Iran never stuck to its promise and at best allowed foreign women to enter. The US Volleyball Federation on the informal advice of the State Department decided not to send its woman president to Iran when the US national team played their even though the vice president of Iran is a woman and Iranian sports associations have women’s sections that are headed by women. The international federation earlier this year backed down from its threat of a boycott declaring that gender segregation in Iran was culturally so deep-seated that a boycott would not produce results. The federation argued that engagement held out more promise. The decision flew in the face of the facts. Gender segregation in volleyball in Iran was only introduced some four or five years ago. The same is not true for soccer where segregation has been a fixture since the 1979 Islamic revolution. The AFC however went a step further. 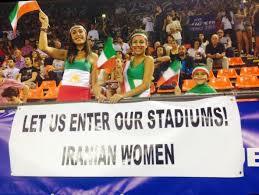 It not only failed to force Iran to stick to its promise to allow women to attend Asian matches. When Iran was upset in January last year at Australian-Iranian women cheering the Iranian soccer team at the Asian Games in Australia and players mingling with their Australian fans, AFC secretary general Alex Soosay defended Iran’s right to do what it wanted within its national borders. As an aside, Soosay was fired six months later after I published evidence of his attempt to cover up his possible involvement in corruption. Soosay has since been hired as a consultant by the AFC. In the cases of both Saudi Arabia and Iran, I would argue that a principled stand that sanctions the two countries makes imminent sense albeit for very different reasons and that harks back to the notion of balancing adherence to principles with a realistic assessment of what can be achieved and how it can be achieved. I would argue that a firm and principled stand in the case of Saudi Arabia has a chance of success. The reason for that optimism is that Saudi Arabia is in flux. Saudi Arabia’s strategy of letting international oil prices drop to maintain market share and squeeze Iran has failed. Shale oil has proven to be resilient and Iran in the wake of the nuclear agreement is on the rise. The failure coupled with geopolitics and the fallout of the 2011 Arab popular revolts is forcing Saudi Arabia to do what is long overdue: upgrade its autocracy and diversify its economy. Without discussing the merits of the Saudi plan formulated in a document called Vision 2030, this entails curbing the raw edges of puritan Islamic rule, bringing more women into the labour market and offering youth more opportunities not only in terms of jobs but also with regard to entertainment. Saudi Arabia’s system of government, a marriage between an autocratic ruling family and a puritan albeit opportunistic clergy, is under pressure both at home and abroad and inevitably will have to be renegotiated. At the same time, Saudi Arabia needs increased foreign investment and needs to polish its tarnished image. One reason why Saudi Arabia came up with the hair-brained idea of hosting an Olympic tournament together with Bahrain. Men would compete in Saudi, women in Bahrain. In short, Saudi Arabia is vulnerable to pressure. It demonstrated that with its torturous but ultimate decision to allow women to compete in London in 2012 and in Rio this year. Exactly the opposite is true for Iran. International pressure is unlikely to produce results. Iran is embroiled in a power struggle in the wake of the nuclear agreement and in advance of elections next year. The nuclear agreement has produced for Iran on multiple levels, but the one area where it has yet to achieve tangible results is in the pocket of the average Iranian. At stake in the power struggle are vested interests. Iran is a country ruled by middle-aged former revolutionaries who need to maintain a façade. For the Revolutionary Guards, who play a major controlling role in sports, particularly soccer, its about defending widespread economic interests. One battlefield in Iran is cultural, including sports. It’s a battlefield on which its easy for the conservatives and hardliners to score a goal. Iranian President Hassan Rouhani has to pick his battles if he wants to stand a chance for re-election. Women’s passive sporting rights, with other words the right to free access to stadiums, is not one of those battles that is crucial to Rouhani’s prospects. With other words the domestic cost of fighting that battle outweighs the cost of a refusal of international sports associations to grant Iran hosting rights. It would be a different story if the associations would ban Iran from international competition as long as it restricts women’s rights much as was the case with Saudi Arabia. The fight for women’s rights is personal for Ms. Safai, a mother of two. “I don’t care what it costs me. I love Iran, it’s my country. I want people to be equal and to have equal rights,” she says. Ms. Safai’s campaign keeps the issue in the public eye, but is unlikely to spark change in Iran any time soon. What this means is that the International Volleyball Federation is probably correct in its conclusion that a boycott of Iran would be useless in terms of achieving concrete results. It also means that engagement will not do the trick. As a result, the upshot of all of this is that boycotts make sense in both Iran and Saudi Arabia albeit for very different reasons. In the case of Saudi Arabia, a boycott has proven to have a chance of success. That is all the truer against the backdrop of the geopolitical, political and social issues Saudi Arabia has to deal with. In the case of Iran, its exactly the opposite. What is at stake is not chances of success, but the integrity of international sports associations in upholding their own principles as well as universal values in the absence of any chance of breaking a deadlock and encouraging progress. The Football Scholars Forum opened its 2016-17 season on September 19, with a discussion of James Dorsey’s long-awaited new book, The Turbulent World of Middle East Soccer. A journalist and Senior Fellow at the S. Rajaratnam School of International Studies at Singapore’s Nanyang Technological University, Dorsey’s blog “(has) become a reference point for those seeking the latest information as well as looking at the broader picture” on Middle East soccer and politics, according to FSF member Alon Raab, who teaches at the University of California Irvine. The forum’s twenty participants spread out across North and South America, Africa, Europe, and, naturally, the Middle East, engaged in a lively discussion with the author. Dorsey began by describing the origin of the project and a disclaimer that he is neither a player or fan of the game. The book, he stated, is about politics, not soccer. But he immediately qualified this quasi-heretical statement (among fútbologists, at least) by stressing that sports and politics are always linked, though at different levels of intensity depending on the place and time. 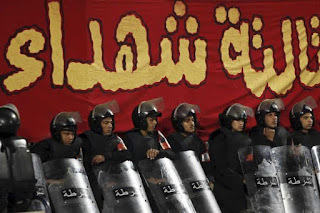 Dorsey emphasized the importance of young Egyptian ultras in the overthrow of Mubarak and of stadiums as spaces of mobilization, dissent, and censorship. A particularly interesting thread of the forum was the focus on social media as scholarly sources–“cyber-ethnography–and also as an invaluable space for public discourse. Prompted by new questions, Dorsey shared his thoughts on gender issues; the limited influence of “Muscular Islam” in its diverse interpretations (from conservative to liberal) on the region’s football culture; racial and ethnic discrimination in the region; and how the failed July 15 coup in Turkey means soccer fans have been caught in the wider web of repression carried out by the Erdogan regime. Click here for an audio recording of the session. For information about the next Football Scholars Forum on October 27, please visitfootballscholars.org. "We do our best to project Egypt's name in all sectors in Africa, especially sport," Mr. Abou Hashima said in a Facebook posting on August 30. "The proposal the Egyptian company presented to buy the broadcasting rights of African football honours the Egyptian people after the 30 June glorious revolution," Hamdy al-Sisi, a namesake of the president, lawmaker and member of the lower house’s Youth and Sports Committee, told Al-Monitor. "Egypt is the main key driver of the Middle East and it remains the pulse of the Arab world. The fact that an Egyptian company obtains the broadcasting rights of matches indicates a lot, including Egypt's recovery from its crisis as it has come back to the African arena," added Mahmoud al-Sayyed, another lawmaker and committee member. Mr. Al-Sisi appears to recognize that with Egyptian stadiums remaining largely closed to the public for much of the years since 2011. 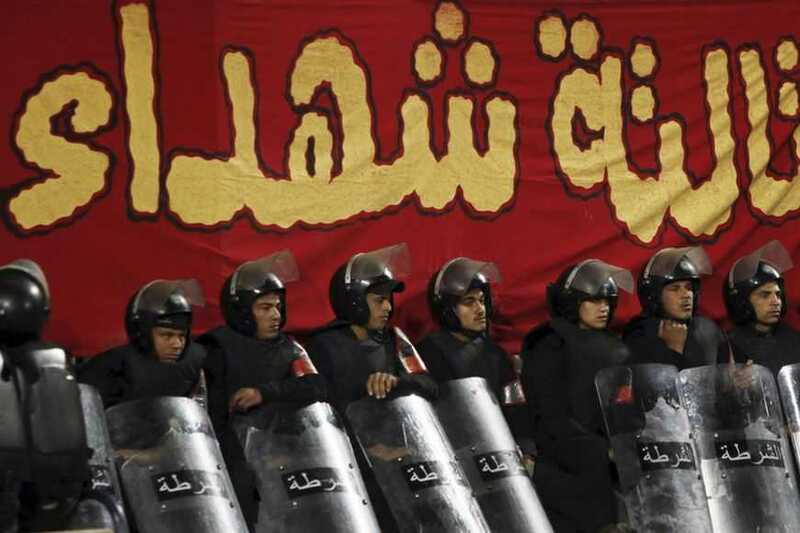 That didn’t stop Ultras Ahlawy from rioting in July during a match against a Moroccan team. Some 80 ultras were arrested. Political transitions are processes, not momentary events. They can take a quarter of century if not more. Philippines President Rodrigo Duterte is as much an expression of a global trend driven by economic, political and geopolitical uncertainty and security and safety fears that produces lack of confidence in the system and existing leadership as are Donal Trump, the 2011 Arab popular revolts; the rise of the far right in Europe; tensions between concepts of freedom, privacy and security; and the wind in the sails of democratically elected, illiberal leaders such as Recep Tayyip Erdogan in Turkey, Vladimir Putin in Russia, Benyamin Netanyahu in Israel and Narendra Modi in India. Differences between Southeast Asian nations are not fought on the battlefield and Southeast Asians do not employ militant and violent proxies to influence events in other countries. With other words, there is no equivalent in Southeast Asia to Hezbollah, Hamas or the Iraqi Popular Mobilization Units nor is there a pattern of support by any one Southeast Asian nation for restless ethnic or religious in another country in the region such as Saudi support for restless Iranian Arabs in Khuzestan or Baluchis in Iran’s Sistan and Baluchistan province. First and foremost, there is no successful transition without the participation of at least a significant faction of the military that sees the preservation of its vested interests in change rather than maintenance of the status quo. In Myanmar, the military took the lead, in Indonesia and the Philippines, a faction of the military reached out to civil society groups. And it was that alliance that pushed the process of toppling an autocrat forward. No military or faction of a military in the Middle East and North Africa saw or sees the preservation of its interests best served by a transition from autocratic or military rule to a more liberal, more democratic civilian rule. On the contrary, autocrats and militaries in the Middle East and North Africa have worked out a number of models to sustain autocratic rule that gives militaries a vested interest in the status quo. Protesters in Egypt in 2011 chanted the military and the people are one when the military refused to step in to crush the revolt. The transition in Egypt however was initially one from autocratic rule in which the military and the security forces were the dominant players to outright military rule by the Supreme Council of the Armed Forces. A brief democratic transition was brutally ended with a military coup that was backed by Saudi Arabia and the United Arab Emirates. The explanation for the differences in attitude between Southeast Asian militaries and militaries in the Middle East and North Africa lies for a large part in differences in the relationship between autocrats and militaries. It also lies in different approaches to the two regions by international donors, particularly the United States, towards the militaries and civil society. Western donors worked with Southeast Asian militaries on issues such as civil-military relations and human rights. They also were able to give relatively unfettered support to civil society groups. The result was greater differentiated thinking within Southeast Asian militaries and the existence of a civil society that was able to rise to the occasion. In a study of civil military relations in Southeast Asia, the Middle East and North Africa, the United States Agency for International Development (USAID)) concluded that there was ample opportunity for serious work on civil military relations in the Philippines. Despite at times rocky relations with former President Suharto in Indonesia, the US also had programs on civil military relations for the Indonesian military. The study constituted a rare US look at the potential for similar programs in the Middle East and North Africa. Its conclusion for that region was radically different. The study said flat out that the Middle East and North Africa was not ripe for concepts of civil-military relations. The conclusion was in line with US policy that saw autocracy rather than transition as the guarantor of regional stability. As a result, the United States allowed Middle Eastern and North African autocrats like Egyptian President Hosni Mubarak to decide which civil society groups could receive US support and which ones could not. Hardly, a recipe for development of a robust and independent civil society. The alliance between the military and civil society in Southeast Asia produced one other key ingredient for relative success: the ability of the street to better evaluate when best to surrender the protest site and move from contentious to more conventional politics and the ability to manage post-revolt expectations. Civil society was effectively locked out of the transition process once Mubarak resigned on the 11th of February 2011. Its power was significantly diminished with the evacuation of Tahrir Square even if mass protests continued for another nine months with an ever rising number of casualties. The military coup two years later was made possible of course by the missteps of Mohammed Morsi, a Muslim Brother and Egypt’s first and only democratically elected president. 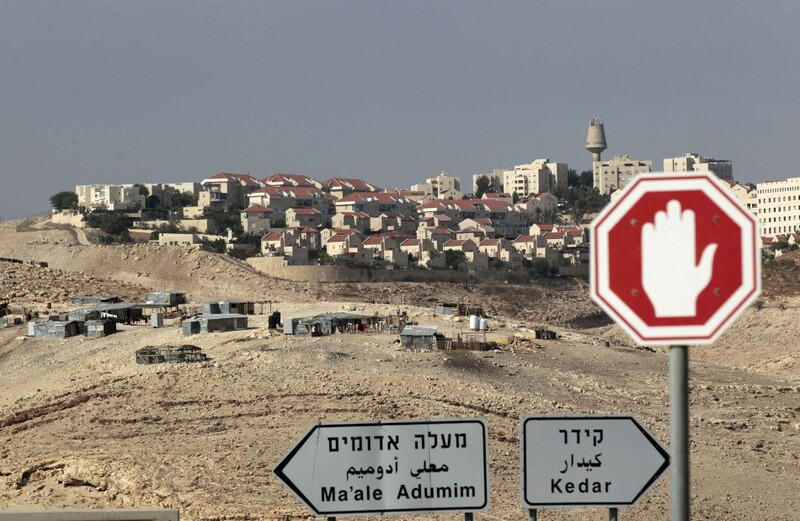 It was however also made possible by dashed social and economic expectations that the revolt would produce immediate and tangible social and economic benefits strengthened by a manipulative military and security service. None of these Southeast Asian lessons provide quick fixes for the multiple crises in the Middle East. What it does however demonstrate is that even if popular revolts are often in and of themselves spontaneous events, the run-up to watershed protests are as much a process as is the post-revolt transition. In sum, the Middle East and North Africa has much to learn from the Southeast Asian experience even if Southeast Asia’s path was in some ways easier because it did not have to contend with some of the Middle East and North Africa’s complicating factors. In November 2015 when we submitted the final manuscript, the overall tone of the book was upbeat for Southeast Asia. Except for Thailand, the countries in Southeast Asia, particularly Indonesia, Myanmar, and the Philippines, seemed poised to complete their democratic transition, rebuild institutions founded on the principles of democratic governance, and enshrine the principles and practices of open participatory systems. The one bright light in the Middle East/North Africa is Tunisia whose Quartet for Democracy had just won a Nobel Peace Prize for its role in the democratic transition. In the past two months, since the Philippine electorate gave a whopping mandate to Rodrigo Duterte, some 2000 Filipinos have died, mostly on allegations of drug use/abuse, none of them having had the opportunity to seek redress through the judicial system. Rule of law seems to have been usurped by executioners-on-motorcycles. He has gone to war with a female Senator who wants to investigate extrajudicial killings, as well as the female Supreme Court chief justice with whom he is also in a war of words over warrantless arrests. He is threatening to pull out of the UN. Similarly, In a very recent cabinet reshuffle in Indonesia, former General Wiranto who “is among senior officers indicted by UN prosecutors over gross human rights abuses during the 24-year occupation of East Timor” as quoted in the Straits Times of 27 July 2016, (http://www.straitstimes.com/asia/se-asia/indonesia-names-controversial-ex-general-as-security-minister), was appointed to the sensitive post of security minister. “Activists have called it a step backwards for human rights,” quoting again from The Straits Times. Mely Anthony-Caballero, in her edited book Political Change, Democratic Transition, and Security in Southeast Asia, echoed the same disappointment over the failure of democratic consolidation in Southeast Asia after the euphoria of the first wave of democratization in the 1980s that began in the Philippines. Several country case studies in Caballero’s book point towards the entrenchment of patronage politics, the lack of attitudinal requirements among the citizenry to embrace democratic ethos, and the preference for stability and material prosperity rather than the mess and the noise of rambunctious participatory politics. Thailand remains the foremost example for an authoritarian resurgence in this century, not once, but twice, when military coups in 2006 and 2014 effectively ended the legitimately-elected governments of Thaksin Shinawatra and Yingluck Shinawatra respectively. Surely, these gripes and grievances are not without merit, but the scenarios are not altogether grim. Malaysia’s Bersih (literally means clean) continues to be at the forefront of collective mobilization for a variety of social causes despite the Internal Security Act of 1960. As Prime Minister Najib Razak fights for regime survival, the wide entanglement with CSOs in this particular instance is a display of Southeast Asia’s ability for political engagement, regardless of formal restrictions and limitations. The Greater Mekong Sub region, a predominantly economic sub-regional program encompassing five Southeast Asian countries, once the backyard of intense conflict and violence now hosts The East–West Corridor, a massive infrastructure program that consists of a road, railway, and energy network has established “connectivity” among the five countries and has stimulated trade among them. The battlefields of the 1960s and 1970s has been transformed into a vibrant competitive marketplace, with formal and informal institutions to mediate and facilitate interregional relationships. It is a truism today that the so-called “peace dividend” in Southeast Asia has converted past warriors into entrepreneurs and consumers, and where current generations engage in the competition for market share rather than the struggle for military supremacy and territorial conquest. It is perhaps these features of the other Asian miracle that constitute the starkest contrast between Southeast Asia and the Middle East. One primary lesson from this comparative study is that civil society is indispensable in building the necessary “political constituency for democracy. New democracies are beleaguered by old regime forces. Civil society participation is even more necessary during such period to prevent the forces of authoritarianism from subverting gains and preserve newly-opened hence fragile spaces of civic life. Newly-installed democratic regimes, on the other hand, should be even more reliant on their partnership with civil society organizations during these precarious transition periods. And then a second valuable lesson. In the morning-after situation when the protest sites have been emptied, the activists need to heed the call of the “politics of the boardroom” where several hundred decision-makers rather than millions of street protesters undertake the tasks of creating, allocating, and distributing public goods and services. These require joining the executive branch of the government particularly its messy tangle of bureaucratic offices and agencies. Hold-overs from the old regime are bound to interact with the new appointees. The ability to seek common ground and to prevent bureaucracy from being held hostage by competing forces so that ordinary citizens can rely on continuous and uninterrupted services is a task that requires different leadership skills. In addition, new entrants need to learn very quickly the mechanics of managing large organizations, steering them towards the accomplishment of concrete goals, and marshalling the human and other material resources to fulfil socio-economic objectives. No matter the political or ideological colour, or one’s confessional affiliation, garbage needs to be collected, revenues raised, water and electricity services provided. Former activists in Indonesia and the Philippines have joined and pursued long-term careers in governments. They run and manage ministries and public commissions on national budgets, education, anti-poverty and human rights; they attend legislative hearings and negotiate with donors; they create committees to decide on projects; and they work with the media and academics to ensure that the message of government services reaches the public. The same is happening in Myanmar today. Joining government is not a straightforward process. The path of transition is littered with uneasy compromises. Dr. Teresita Cruz-del Rosario is a Senior Research Fellow at the Asia Research Institute, National University of Singapore. 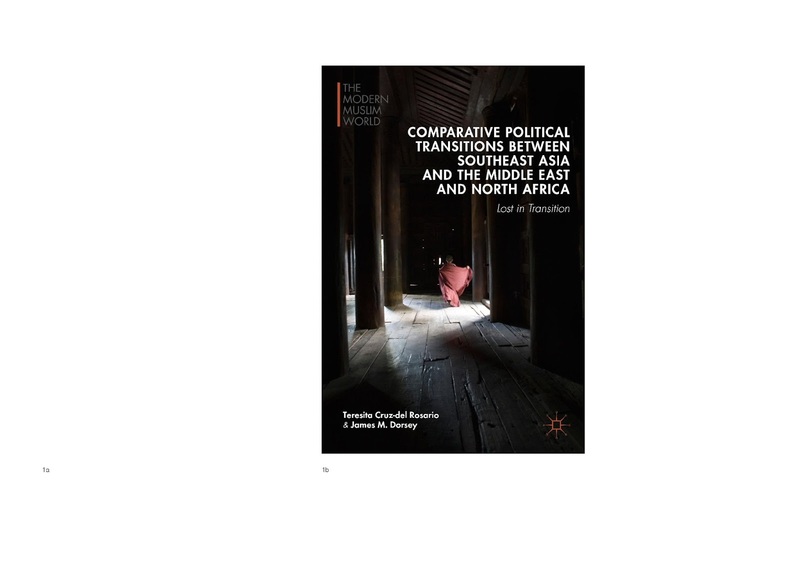 She is the author of The State and the Advocate: Development Policy in Asia and also just published Lost in Transition: Comparative Political Transitions between Southeast Asia and the Middle East and North Africa, co-authored with Dr. James M. Dorsey.